A ‘Wonderful’ 70 Years … plus a giveaway! 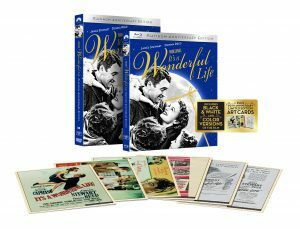 IT’S A WONDERFUL LIFE Platinum Anniversary Edition. (DVD Artwork). ©Paramount. 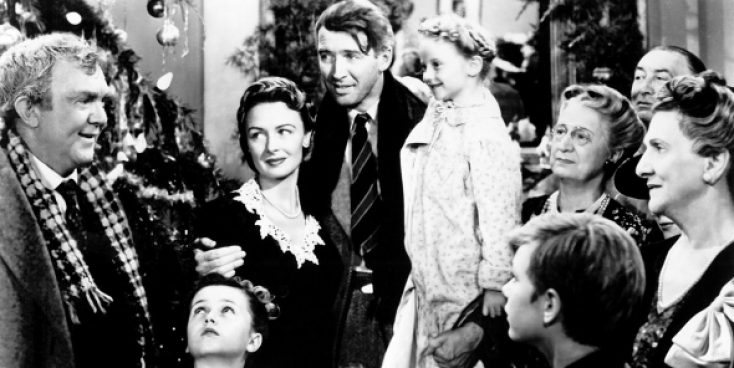 It’s been 70 years since Frank Capra’s life-affirming “It’s a Wonderful Life” first arrived in theaters. Starring James Stewart as a man named George Bailey, who becomes despondent one Christmas Eve and decides to end it all only to discover (thanks to sweet old Angel Second Class named Clarence) how rich and full his seemingly dull life has been despite what he thought were setbacks, the post-World War II drama has become a holiday classic thanks to repeated airings on television over the decades as well as the advent of home video. The Liberty Films (later acquired by Paramount Pictures) release, was initially a flop in theaters, though it has in recent decades has become one of the most beloved and watched films ever, enjoyed by generations of fans. Though Stewart and most of the adult stars of the film (including co-star Donna Reed as the love of George’s life Mary Bailey) are long gone, three cast members who played the Bailey children were recently in attendance at a special screening at the Academy of Motion Pictures Arts and Sciences: Karolyn Grimes (Zuzu), Carol Coombs (Janie) and Jimmy Hawkins (Tommy). To commemorate “It’s a Wonderful Life,” Paramount has released a special 70th Anniversary Platinum Edition. Starring Donna Reed, Lionel Barrymore, Thomas Mitchell and Henry Travers, along with James Stewart, this holiday classic has made an indelible impact on popular culture and continues to be a cherished part of many family get-togethers. beautifully colorized version, a “making of” documentary hosted by Tom Bosley (“Happy Days”) and the original trailer. Plus, some of the Blu-ray and DVD sets include collectible, limited edition art cards featuring images of the original ads and lobby cards. If you happen to be in or near Seneca Falls, N.Y., Dec. 9-11, the “Bailey Kids” and other special guests are scheduled to be on hand for an It’s a Wonderful Life Festival. For more information, go to: http://therealbedfordfalls.com. 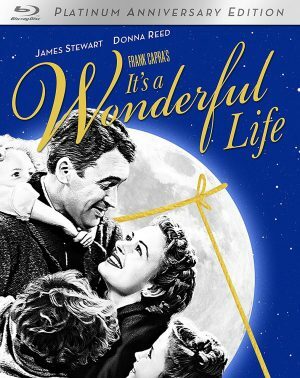 Front Row Features is giving away one copy of “It’s a Wonderful Life” 70th Anniversary Platinum Edition to one lucky reader. Simply Like us on Facebook and email your name and mailing address to: frontrowfeatures@gmail.com. We will pick a winner on Tuesday, Dec. 6, 2016. Good luck! Next Post‘Gilly Hopkins,’ ‘Secret Agent,’ ‘Jennifer Lopez’ on Home Entertainment … plus giveaways!